I love the covers. PS: I need a Briar cover. 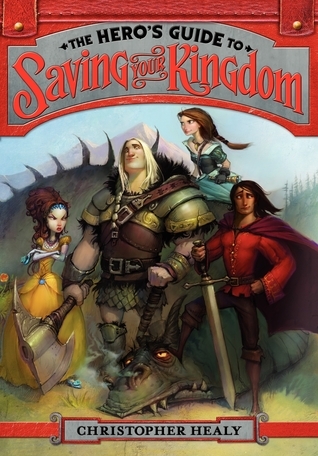 The first book in this series, The Hero’s Guide to Saving Your Kingdom, was possibly my favorite 2012 debut, and one of my favorite middle grades of all time. So I was thrilled to receive the ARC for the sequel for review (THANKS, WALDEN POND PRESS). 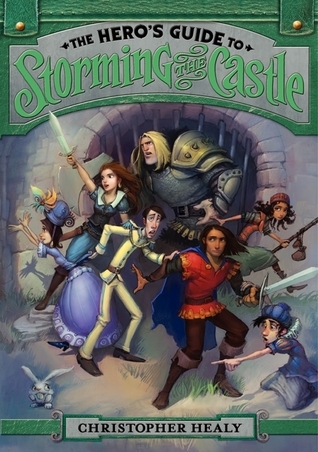 I’m not going to lie, I think the first one is an overall better book, but I still thoroughly enjoyed The Hero’s Guide to Storming the Castle. Since the main group of characters and the general world has been established in Book 1, we get to see more of that world and the countries in it, as well as many more characters, in Book 2. Little Taylor was my favorite newly-introduced character. He is hilarious and awesome and an expert in a REALLY AWESOME skill that I don’t want to spoil. Spoiler: It’s awesome. A new country, Dar, and its inhabitants also figure prominently, and I’m guessing will continue to do so in Book 3. The first section of this book works mostly to reunite our heroes and heroines from Book 1. It’s super fun to see how they’re all reacting to the action from the first, and how the various character dynamics have shifted (more on that later). The middle section of this book is pretty weak; there is an imbalance of telling versus showing, and the characters spend most of their time planning and re-planning their plan of attack. And it’s about as repetitive as the previous sentence. The final part of the book, however, gathers up all the slack again and is a rollicking adventure with lots of peril and shenanigans and put all of the (many) supporting characters to good use. The thing about Healy’s writing that amazes me the most is that, in spite of the ludicrous story and crazy antics the main characters get up to, he still manages to portray the characters as real people. They have fleshed-out personalities and flaws and understandable motivations. The character dynamics and relationships are absolutely stellar. Each individual interacts with each individual in a specific, consistent way, regardless of whether they’re interested in each other romantically or not. Speaking of romance, except for the pair that’s married, I have no idea who is going to end up with who in this series and I KINDA LOVE IT. Specifically in this book, we get a lot of Liam, Duncan (who I love to pieces) and a lot more of Briar Rose (who I love even more). Briar is fierce and scary and kinda possibly evil, and really adds to the group dynamic. DYNAMICS, PEOPLE, HEALY IS GOOD WITH THEM. There’s also plenty of villains, some that we’ve seen before, some new, and they’re all varying degrees of rabid. Finally, this book did a good job of setting up the conflicts (both character and plot) for the next one, which makes me happy but also sad because I have to wait….for how long….. Most of the illustrations are only partially done in the ARC, some of them are missing, and a few look finished. It was really cool to see the process of those; I’m a huge fan of the illustrations in the first book, and it looks like the sequel’s illustrations will be just as great.